John P. Bohlman graduated with a BS Pharmacy degree from the University of Wisconsin School of Pharmacy in 1974, and has truly been a life long learner. This has included work at the William Apple Pharmacy Practice Program at the University of Houston, training at the University of Illinois-Chicago in home infusion therapy, and course work with UW Extension, the Pharmacy Society of Wisconsin, and the APhA. He began his career at Deaconess Hospital in Milwaukee, but soon returned to his roots in Boscobel, Wisconsin, to assume the presidency of the Bohlman Pharmacy, established in 1934 by John’s father, Vilas Bohlman. John continues there today and the original pharmacy has grown into Bohlman Drugstore, Inc. & Infusion/Pharmacy Services, Inc. John also practiced pharmacy on a part-time basis at the Boscobel Area Hospital for nine years, at Richland Center’s hospital for eight years, and continues to be a consultant pharmacist to multiple southwest Wisconsin nursing homes, which he has done for more than 25 years. John served as the Prescribing Information Specialist for the Wisconsin Center for Health Systems Research and Analysis from 1992 to 1994, and has served as a Clinical Instructor for the School of Pharmacy for over twenty years. John has served as member and chair of the state’s Pharmacy Examining Board when appointed by then governor Tommy Thompson, and assumed numerous leadership responsibilities with the Wisconsin Pharmacists’ Association, including president of that organization. He was instrumental in the creation of the Pharmacy Society of Wisconsin. Mr. Bohlman has served on the advisory board to the American Pharmaceutical Association. John is a well-respected civic leader as well, having worked tirelessly in contributions to many Grant, Crawford, and Iowa County health care advisory boards and committees and in work with Boscobel’s Chamber of Commerce and in chairing Boscobel’s master plan project. Mr. Bohlman received the 1992 Phi Delta Chi Alumnus of the Year award and was the first recipient of WPhA’s Innovative Pharmacy Practice Award. John Bohlman has been an exemplary member and servant of the pharmacy profession and has created a model practice environment in Boscobel. Further, he has been an outstanding citizen, and his contributions to the profession and to the future of professional organizations in Wisconsin have been significant. Dr. Ken Connors has faithfully served the University of Wisconsin School of Pharmacy for over forty years. He came to the school in the mid-1950s, following his undergraduate degree at the University of Connecticut. In 1957 he graduated with his MS in Pharmacy, and in 1959, he achieved his doctor of philosophy in pharmacy with a major in pharmaceutical analysis. Dr. Connors’ graduate work and research was done under the direction of the legendary Takeru Higuchi. Afterwards, Ken did post-doctoral work at the Illinois Institute of Technology and Northwestern University. Ken returned to Madison in 1962 to stay, as a full-time faculty member. His research career at Wisconsin focused on organic analytical reactions, their catalysis, mechanisms, and applications, and on kinetic methods for the analysis of mixtures and the chemistry of molecular complexes. His productivity here is somewhat reflected in the following numbers: author or co-author for 89 published research articles, author or co-author of nine textbooks, theses and dissertation supervision of more than 40 graduate students, and more than 30 other published reviews and other published educational contributions. He received the Justin L. Powers Research Achievement Award in Pharmaceutical Analysis in 1980 from the Academy of Pharmaceutical Sciences. He has served on the editorial board of the International Journal of Pharmaceutics, the Journal of Pharmaceutical Sciences, and the Journal of Pharmaceutical and Biomedical Analysis in terms stretching from 1978 to 2002. A member of a number of professional associations, Ken has been honored as an elected fellow of the Academy of Pharmaceutical Sciences (1972), the American Association for the Advancement of Science (1981), and the American Association of Pharmaceutical Scientists (1986). Ken served the school administratively in several capacities–as an assistant dean for graduate studies (1968-72), as associate dean (1975-76), and as interim dean from 1991 to 1993. His leadership on the school’s building committee was a key driving force in achieving the creation of Rennebohm Hall, and he was intimately involved in the planning of what our new school would look like. Ken’s teaching also brought distinguished invitations–such as service to his alma mater as the Centennial Lecturer at the University of Connecticut’s School of Pharmacy in 1981. In teaching awards begun here in 1985, Ken was named the Teacher of the Year three years prior to his retirement in 1997, with the pinnacle of his teaching talents recognized in 1995 by the American Association of Colleges of Pharmacy, when he was named a Distinguished Pharmacy Educator. Dr. Ruth Havemeyer is originally from Long Island City, New York, and first attended school there and in New York City. Her formal pharmacy education began at Columbia University, where she achieved a bachelor’s degree, and at Purdue University, where she received her masters degree in pharmacy. She graduated from the University of Wisconsin School of Pharmacy in 1960, having achieved her PhD under the guidance of Professor Takeru Higuchi. Ruth worked as a research scientist in pharmaceutical development six years for the Squibb Institute for Medical Research in New Brunswick, New Jersey, before moving west to join Syntex Research in Palo Alto, California. Ruth was the first female PhD ever hired by Syntex, and enjoyed a varied career there, including positions as a research scientist in pharmaceutical development, as product development/project management manager, and lastly, as the director of Syntex’s research administration and research division budget. She was with Syntex for 28 years before her retirement. Professionally, Ruth has served as a member and chair of the Pharmaceutical Manufacturers’ Association’s Research and Development Finance steering committee, as member and chair of the American Foundation for Pharmaceutical Education’s Board of Grants, and in service on the Science Advisory Council of Mills College of Oakland, California. She was active in work for the American Association for the Advancement of Science–as a fellow in Sigma XI. Ruth was honored by the Pharmacy Alumni Association as their Alumna of the Year in 1990 and she contributed significantly during her tenure on the School of Pharmacy’s Board of Visitors, on which she served from 1995 to 1997. 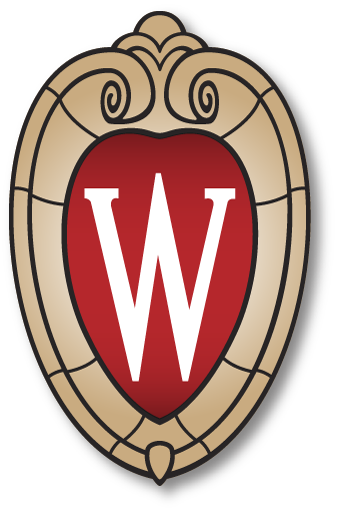 For her extraordinary generosity to the University of Wisconsin, she was made a life member of The Bascom Hill Society. In her retirement, Ruth serves her Palo Alto community as a volunteer reader to elementary school children and as a recorder of books for the blind. Dr. Vincent Lee received his elementary and secondary education in Hong Kong, and achieved his bachelors degree in pharmacy at Ferris State University. He came to Madison in 1975 and went on to achieve his masters and PhD in pharmaceutics, the latter in 1979, studying under Professor Joseph Robinson. He then joined the faculty of the University of Southern California and rose in the academic ranks to become chairman of the Department of Pharmaceutical Sciences at USC in 1990, a position he still holds. Vincent holds a secondary appointment at USC in the School of Medicine, as a Professor of Ophthalmology, and concurrently, is also the School of Pharmacy’s Associate Dean for Research and Graduate Affairs. Dr. Lee has enjoyed positions as a visiting scholar at the University of Lausanne in Switzerland, at Kyoto University in Kyoto, Japan, at West Virginia University, and at the University of Tennessee. President of the American Association of Pharmaceutical Scientists (in 1996). President of the Controlled Release Society (1992-93). Founding and current editor of Pharmaceutical Research, one of the most highly cited and acclaimed journals in the pharmaceutical sciences. He also currently serves as editor-in-chief for the Journal of Drug Targeting and of Advanced Drug Delivery Reviews. Service to the National Institute of Health’s Pharmacology Study Section three times. Service on an Advisory Committee for Pharmaceutical Science to the U.S. Food and Drug Administration (1999-2002). Pharmaceutical Scientific Advisor to the government of Taiwan’s Department of Health, (1999-2003). Dr. Lee has been referred to as the “acknowledged leader in the world in the science and technology of peptide and protein drug delivery” and as “the most highly cited author in the area of ocular drug delivery”.